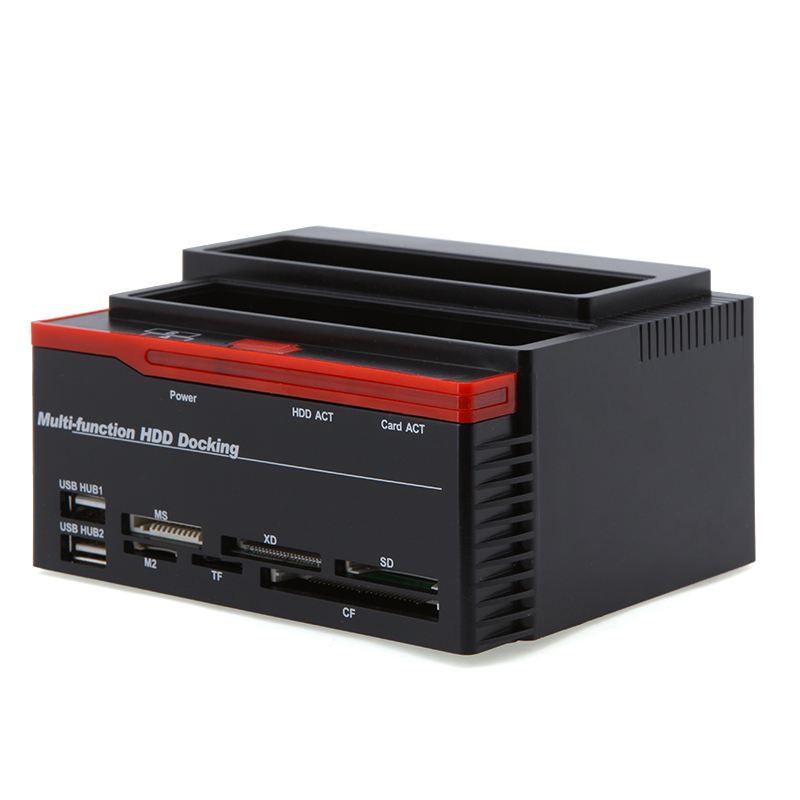 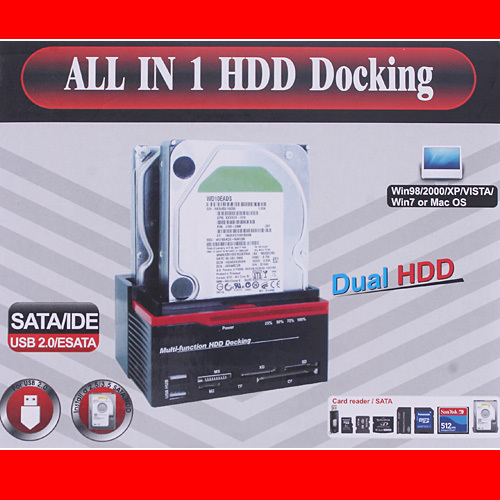 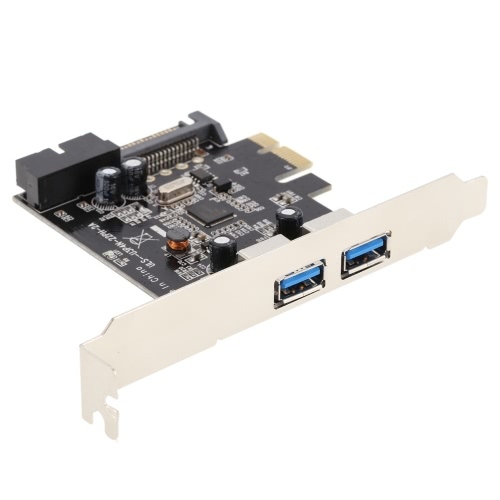 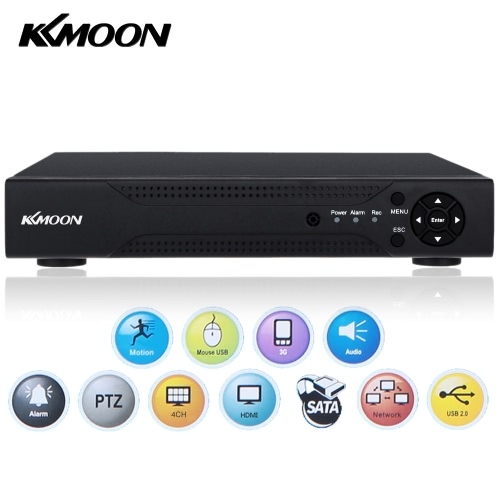 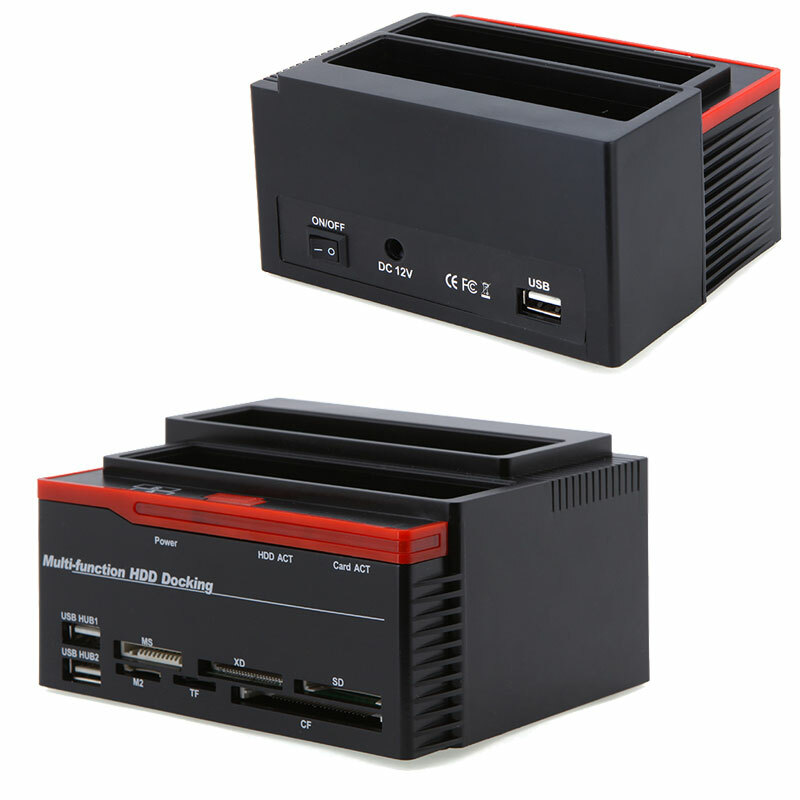 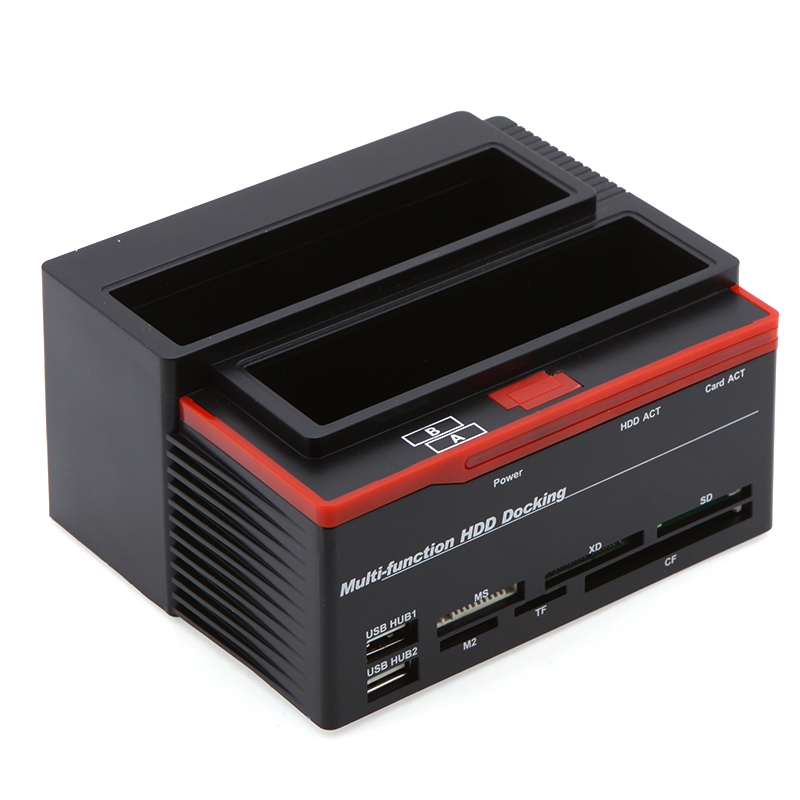 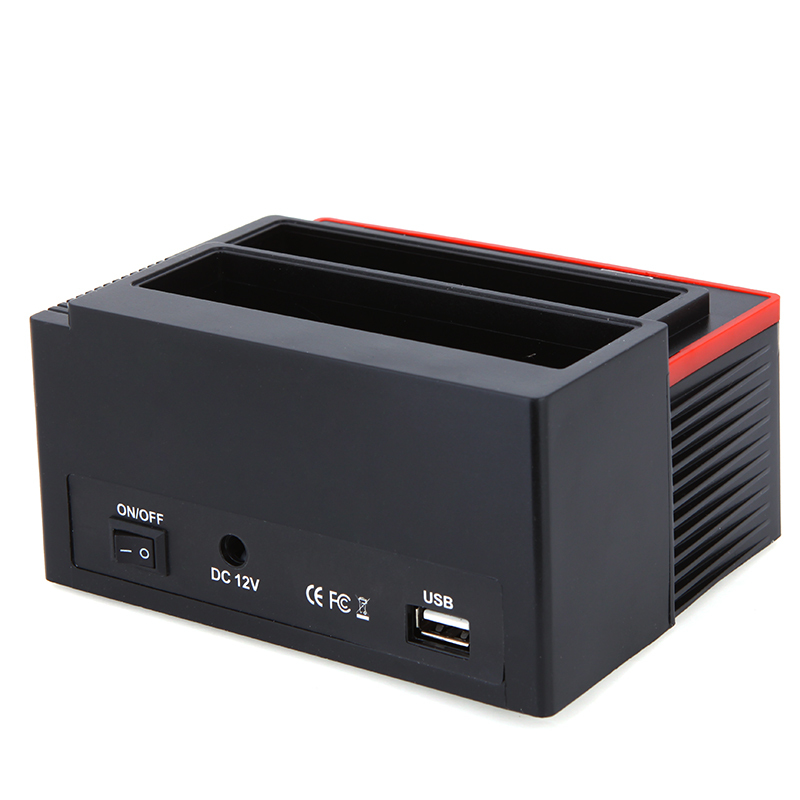 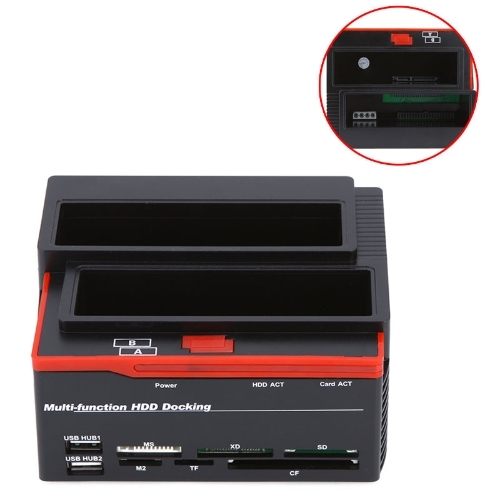 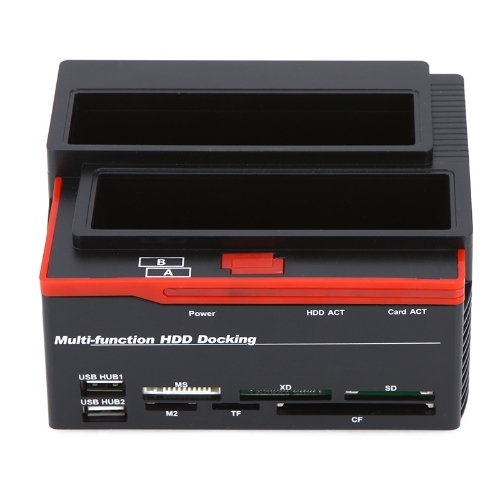 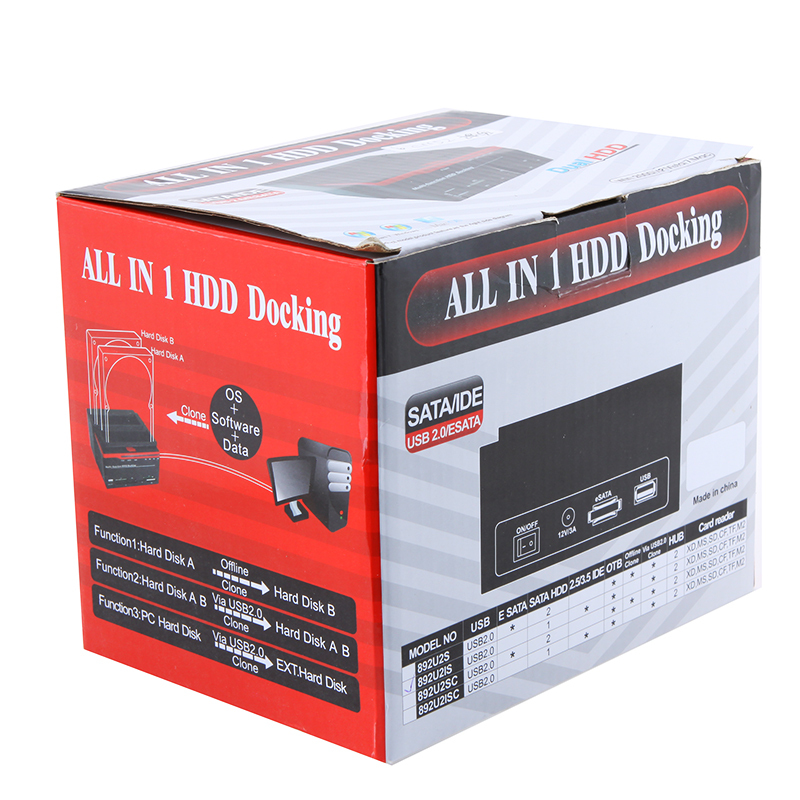 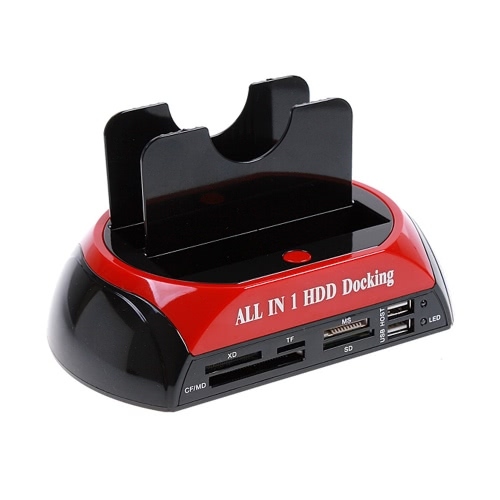 All-in-One item: HDD Dock can accommodate/store/exchange/backup 1x 2.5"/3.5" SATA and 1x IDE hard drives; USB 2.0 interface enables data transfer rates up to 480 Mbps; MS/M2/XD/CF/SD/TF card reader; 2 ports USB 2.0 HUB. 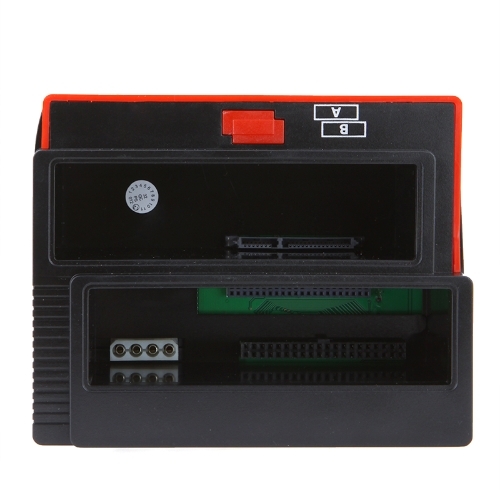 Supports both 2.5"/3.5" SATA and IDE hard drives. Spports a 2.5"/3.5" SATA and a IDE hard drives simultaneously. 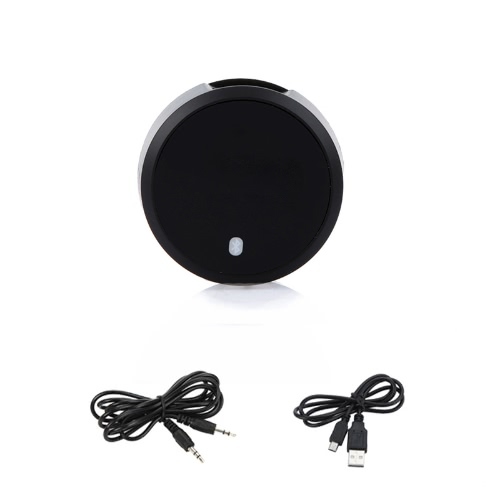 With a USB 2.0 interface for data transmission. 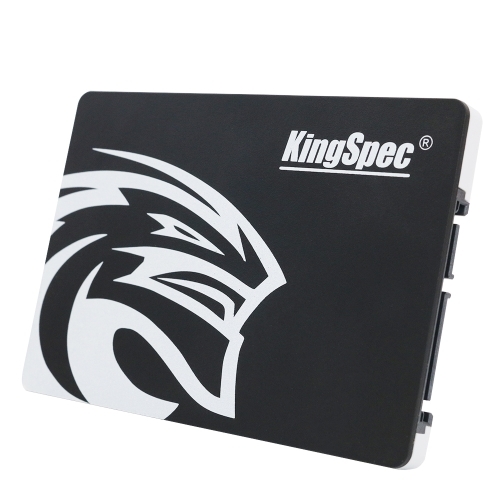 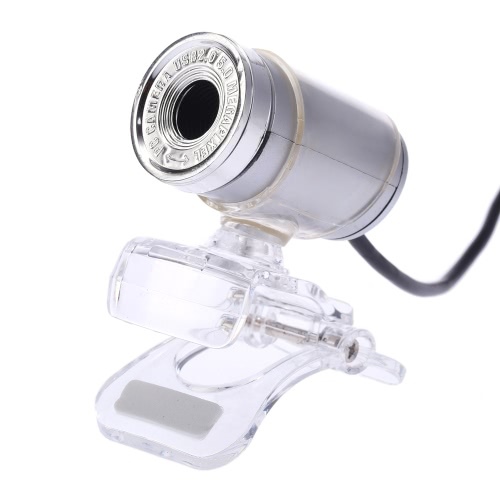 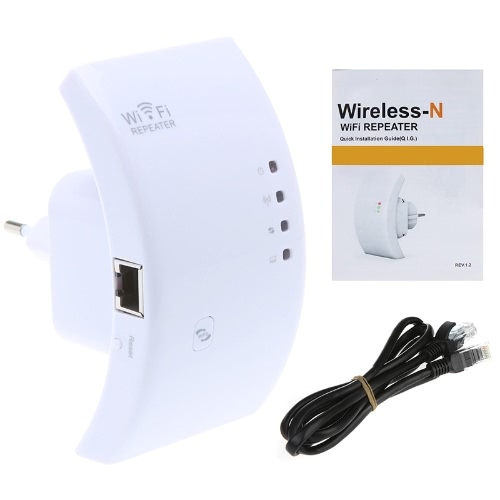 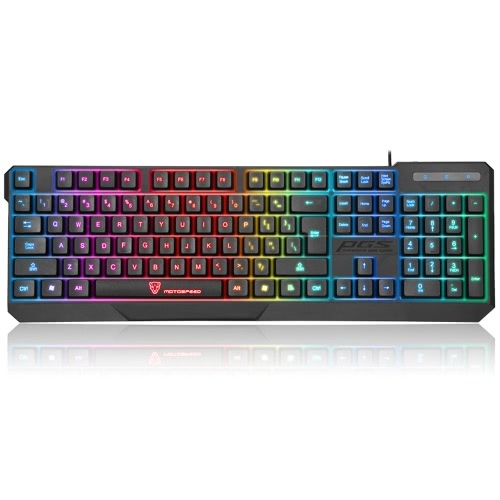 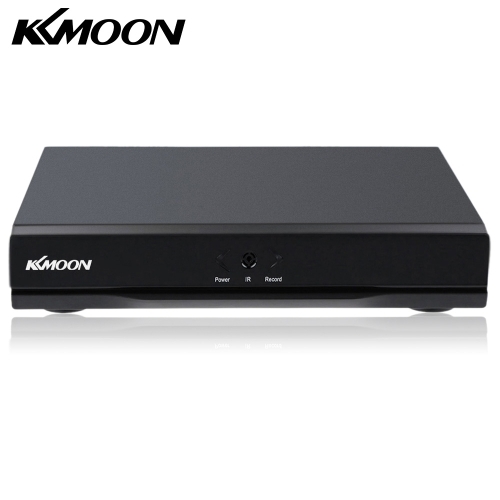 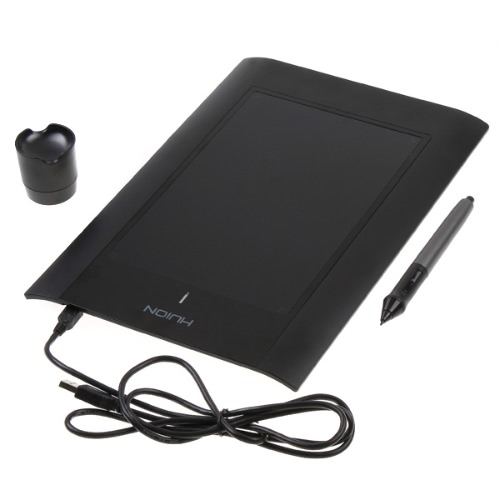 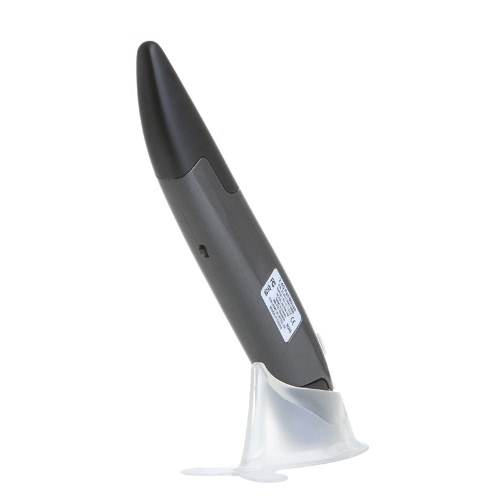 Supports USB 2.0 hi-speed (480Mbps) and full-speed (12Mbps) operation. 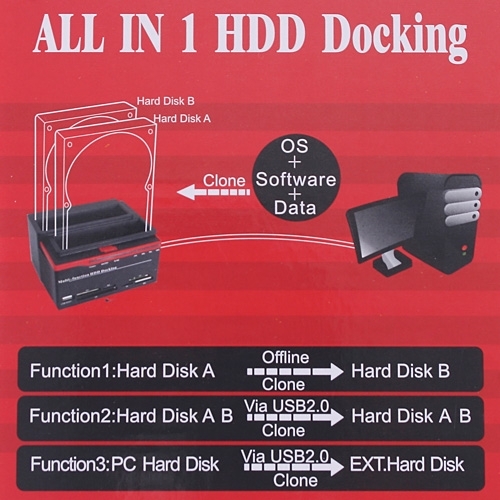 Any hard disk data (such as OS, driver, AV files and so on) cloning function. 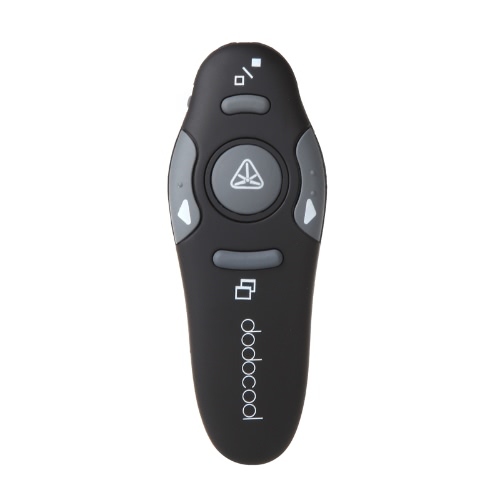 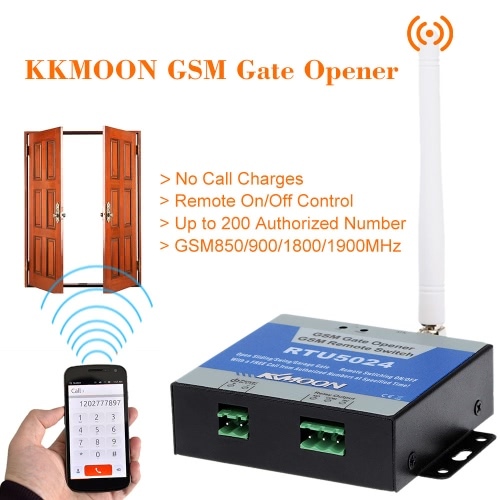 Supports One Touch Backup (OTB) function. Hot swappable and pluggable for most operation systems (Win 98/ME/2000/XP/Vista/Win 7, Mac OS 9.X/10.X, Linux). 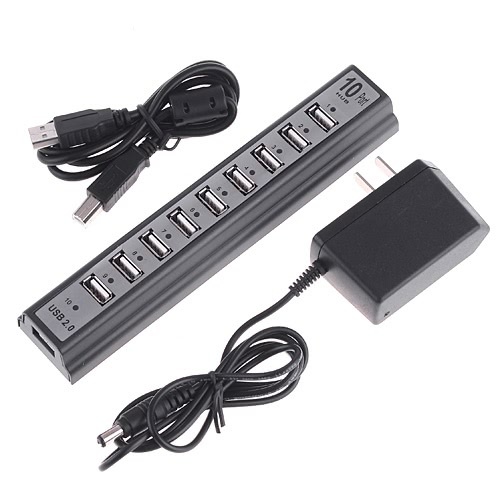 2 ports USB 2.0 Hub. 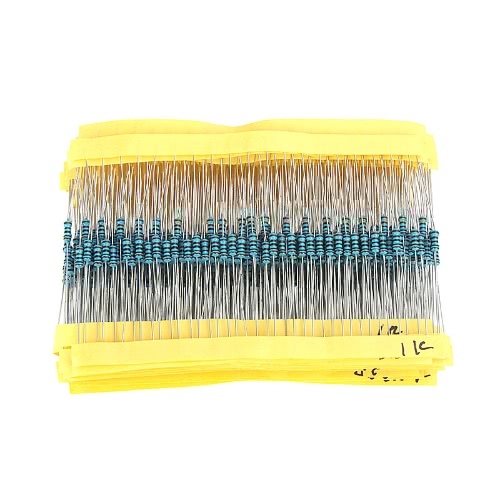 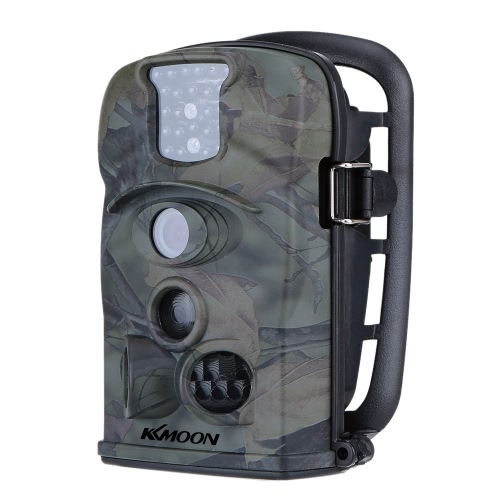 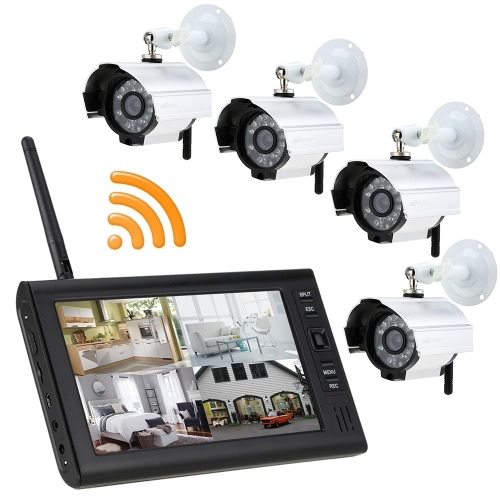 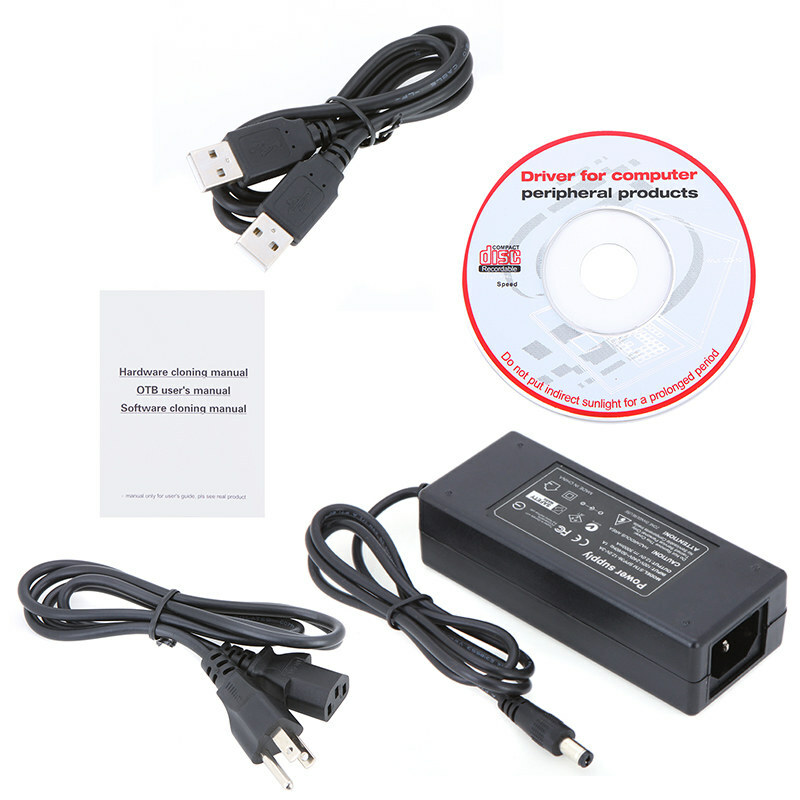 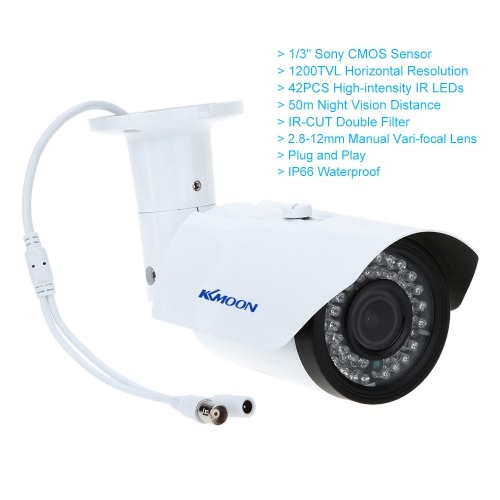 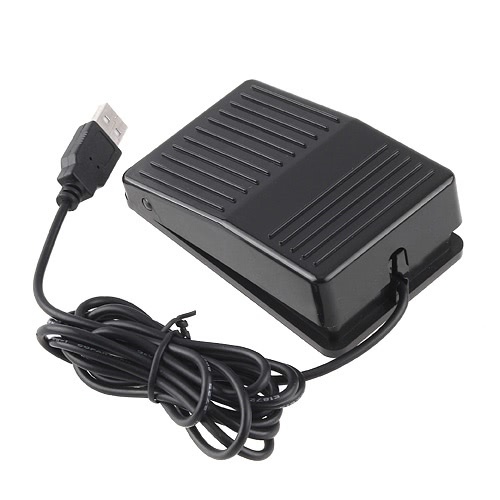 Includes a universal power adapter (12V 5A).